The Favourite of the Gods is the first novel by Sybille Bedford that I’ve read . It will not be the last. This is a writer at ease with the nuances of European social classes and alert, even sympathetic to the oddities of human behaviour. Conscious of their propensity to make poor decisions, she is also alive to the possibilities of their struggle towards fulfilment and happiness. This 1963 novel is a tale of three generations of women and their, often problematic, relationships: Anna, an American heiress who marries an Italian prince; their Italian born daughter Constanza upon whom the Gods appear to look favourably and her British born daughter Flavia. It’s tale of character and motivation that unfolds within the framing device of a train journey taken across continental Europe by Constanza and Flavia in late 1920s. Almost as an afterthought readers learn that Constanza is travelling to her wedding in Belgium. But the pair never make it further than France. Through their carelessness they lose a valuable ruby ring (an heirloom from Constanza’s father), miss their train connection and end up having to spend the night in a small fishing village in the South of France. Not until the last chapters of the novel do we discover the consequences of those mishaps, the life changing decision taken by Constanza and why the overnight stop become their home for the next 11 years. In between we learn the story of Anna’s upbringing in New England, her marriage to the prince and her early married years in an Italian palazzo. Anna tries to find a purpose to her life through travel and (misdirected) ‘good works’. But all comes crashing down when she discovers her husband Rico has been unfaithful to her for most of that time (her embarrassment exacerbated because the whole community near their Italian palace knows of the affair). War is declared. Anna departs in a flurry for London, taking 16 year old Constanza with her and vowing that the girl will never see her father again. Her son Giorgio, who is already a spoiled brat by the age of 10, will continue to live with his father. Constanza is one of life’s golden girls. Naturally intelligent and inquisitive her mother ensures these qualities are polished and honed to perfection through a succession of scholars and tutors in literature, botany, social history and economics. Constanza soaks it all up. She was as quick as a bird, and as live, and it all came easy to her, natural as life, as breathing, talking, reading, thinking , arguing…. She enjoyed being with people who knew things, she enjoyed logic and pulling questions apart and going to the heart of a matter and looking at more than one side. She had what all mortals pray for and unfortunately few are given. She had health, she had looks, she had money for her needs. … She was equipped to appreciate, to derive entertainment, connotations, pleasure, from almost any situation she happened to find herself placed in. … And she was not unhappy, there was only a vague disquiet, a nagging question: What is it for? What have I made of it? Where is it going, where can it go? The qualities that Constanza has in abundance are transferred to her daughter Flavia. She has her mother’s curiosity and independence, though more of a desire for a structured education. But is blessed by a greater sense of proportional and rational thinking than her somewhat mercurial grandmother. These relationships are all played out against a background of political and social change across Europe: female emancipation, the Great War, the rise of Mussolini, the spectre of the Wall Street crash and depression, the introduction of National Insurance are among the developments mentioned in the novel. Bedford marks the passage of time too by tracing the reading habits of her protagonists. Constanza devoures Racine, Byron, Shelley, Swift and Geoge Eliot before she turns 15. She then moves on to the Sitwells, Erza Pound and Gerard Manley Hopkins. Her mother’s tastes remain more conservative – holding H. G Wells in awe and extolled the virtues of John Galsworthy . “But what she saw no loin in was formlessness, ugliness, obscurity” which is how she views Virginia Woolf’s A Voyage Out. D H Lawrence she considered incomprehensible, E. M Forster pointless and drab and Proust ‘affected’. The richness of issues and themes plus the wonderful characterisation of these three women make this novel a fascinating read. If you don’t believe me, just try it for yourself. Read further: There is a sequel to A Favourite of the Gods, called A Compass Error (published in 1968) which further develops the character of Flavia. The book considered a breakthrough in the career of Christa Wolf has to be one of the most frustrating novels I’ve ever read. The Quest for Christa T is an attempt to reconstruct the life of a woman whose nature defied definition and classification; a woman whose spirit was at complete odds with a society that viewed conformity as necessary to its survival. It’s a fascinating portrait of a East German woman in the years from her childhood at the end of World War 2 until her early death in a 1960s Communist state about to be curtailed behind the Berlin wall. It’s a portrait built by her friend from personal memory supplemented by details taken from Christa T’s letters, poems and diaries and conversations with people who may or may not have actually existed (such is the elusive nature of this book that it’s often hard to separate reality from imagination). The picture of Christa T isn’t revealed in a linear fashion but through disconnected fragments with only a vague idea as to the time period in which particular episodes occurred. As the narrator rummages through a box of papers left behind by Christa T, we get glimpses of the dead woman; first as a child and then as a thirty-five year mother who lies dying from leukaemia. The narrative then reconstructs the intervening years, depicting Christa T’s life as a student in Leipzig and as a teacher. At every stage it’s apparent that this is a woman destined always to be different; to be special though quite what makes her so is never clear. She’s a drifter, an outsider, a person on the fringe; an individual whose passion for constant change and renewal alienates her from her contemporaries and from the ethos of the new communist order. While others adjust to this new regime, and put aside their personal beliefs, she recognises that this is a society for “factual people” and “up and doing people” not dreamers like herself. …all the time I know that it’s a film of shadows being run off the reel, a film that was once projected in the real light of cities, landscapes, living rooms. Despite her knowledge that the very act of writing may falsify the nature of her friend, the narrator often becomes angry when she feels the truth is being withheld from her. At one stage, as she looks through the notebooks Christa has left behind the narrator she rails against her friend because she cannot understand the significance of a list of book titles. I’ve read the titles once more. What does it all mean? Try as I might, I can’t figure out what’s at the back of these titles. My anger, which was complicated, was the healthy fury of a reader bereft of a promised story. And even if I was the only person who’d like to know what it means …. shouldn’t she at least have shown consideration for me? …. The anger and frustration is understandable. Here is a woman conscious that she bears the legacy of her friend’s life and determined to do it justice. She succeeds to some extent. I certainly felt by the end that I’d been introduced to a remarkable woman living through a difficult period in history. But I was also left with a perplexing series of images and a feeling there is so much more yet to discover. I’m rather late this month but this is what I was up to on the first day of September. 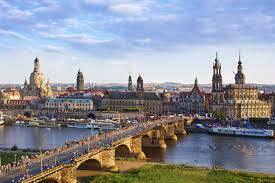 It was day six of our holiday and we were in Dresden, Germany. are mentioned in the novel). But I found it hard to get into, so switched instead to my e-copy of A Little Life by Hanya Yanigahara. Not the kind of book if you’re one of those people who like cosy novels as holiday companions but I found it difficult to put down. Of course I couldn’t resist the temptation to browse in a few bookshops in Berlin and Dresden. The selection of books available in English was rather limited – the usual crime fiction and best sellers, a few of last year’s Booker shortlisted titles plus four different editions of All the Light we Cannot See by Anthony Doerr. But not a single English translation of a German fiction classic. I’d been hoping for a Thomas Mann at least but drew a complete blank. Talking of All the Light we Cannot See, this was on my iPod during my trip. Shortly after starting it, I learned that President Obama had also selected it as one of his holiday reads. Presumably he chose it (or had it chosen for him?) because of its status as a Pulitzer prize-winner and winner of the Carnegie Medal for Fiction. What the leader of the free world made of this novel set in World War 2 I haven’t been able to discover. For me it’s rather slow going. I keep thinking sometime soon something will happen …. Deciding what books to take on a holiday never gets any easier. Too many questions race around the brain. Do I take a tried and trusted author or is this the time to branch into unknown territory? What if I don’t feel in the mood for the book/s I’ve taken? What if they’re duds? What if I finish them too quickly and then can’t get my hands on anything decent in English (the advent of e-readers has made that much simpler of course but I still like to have paper copies with me). Answering those questions involves multiple cycles in which I pull books off the shelf convinced this is the perfect choice. Only to change my mind a day later. Of course I then go and add to the complexity by trying to take at least one book written by an author from the country I’ll be visiting. This holiday I eventually settled on two that are loosely connected by the theme of World War 2 which seemed entirely appropriate since I am visiting Germany. I’ll be reading The Third Reich by Robert Bolano, an author I’ve intended to read for years but never got around to doing so. This novel was published in Spanish in 2010 and in English the following year having been discovered among his papers following his death. It concerns Udo Berger, a German war-game champion, who returns with his girlfriend Ingeborg to the small town on the Costa Brava where he spent the summers of his childhood. When one of his friends disappears Udo invites a mysterious local to play a game of Rise and Decline of the Third Reich, a classic wargame. From my TBR I’ve selected a Virago Modern Classic, The Quest for Christa T by the German writer Christa Wolf that follows two childhood friends from the second World War into the 1960s in East Germany. Wolf was one of the best-known writers to emerge from the former East Germany but since unification she’s been criticised for failing in her work to criticize the authoritarianism of the East German Communist regime. Neither are very long novels so I’ve made sure my e-reader is well stocked with A Little Life by Hanya Yanagihara (long listed for the Booker prize) and The Dictator’s Last Night by Yasmina Khadra which is due out in October. 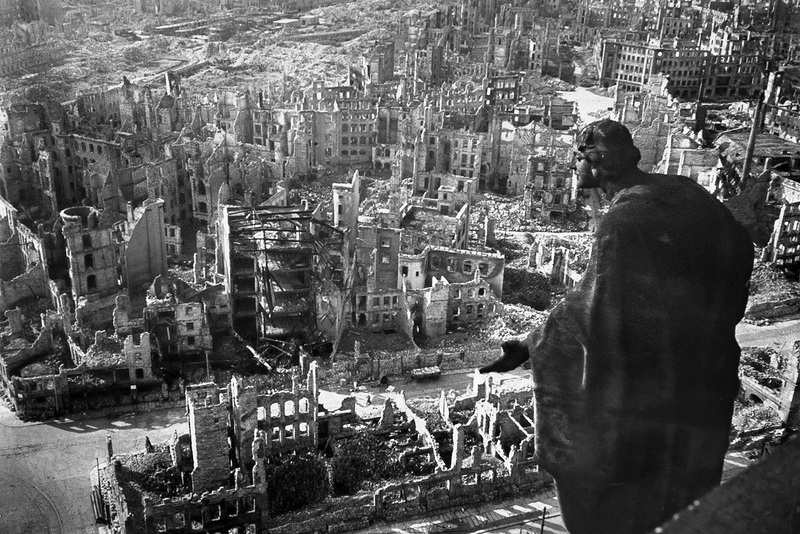 In between all that reading I just might be able to squeeze in a few site seeing trips around Berlin and Dresden….